SSE plc’s Great Island Power Station in County Wexford is a 464 MW combined cycle gas turbine (CCGT) plant which was first commissioned in 2014. 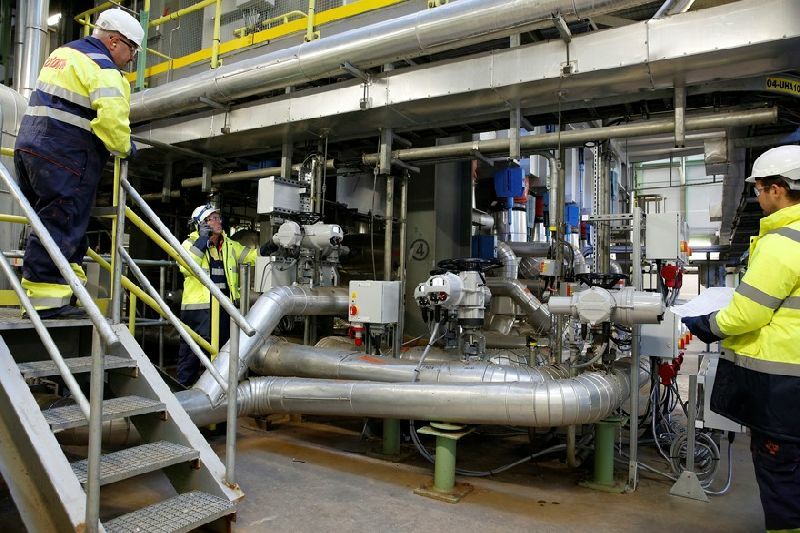 Acknowledged as one of Ireland’s cleanest and most efficient natural gas power stations on the country’s national grid, the plant generates enough energy to power the equivalent of half-a-million homes. 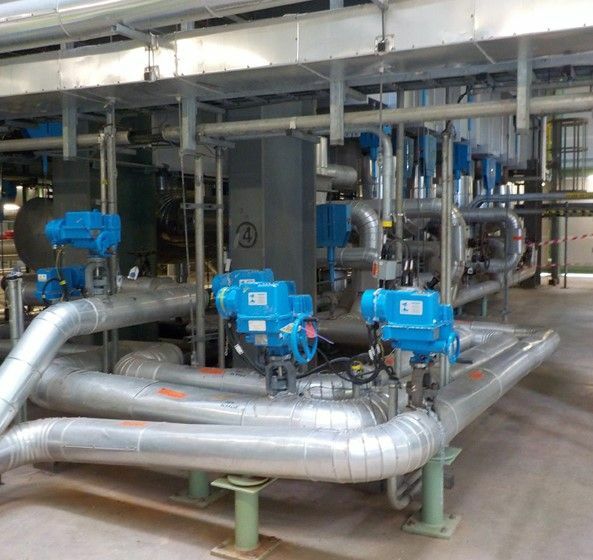 In 2016 the operators identified improvements that could be made in the heat recovery steam generator (HRSG) plant to improve efficiency and long-term asset management. The improvements involved the introduction of Master/Martyr valve sets on the high, intermediate and low pressure turbine drain valves. System design, product selection and procurement. Design of control system and integration with existing Mitsubishi programmable logic controller (PLC). Installation of power, control and instrumentation cabling and cable containment. 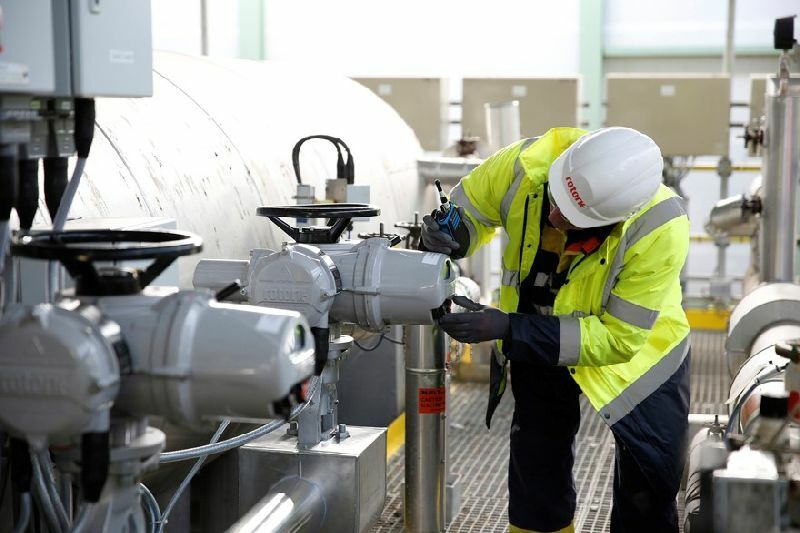 Padraig Dunleavy, Great Island CCGT Station Manager, explained: “We have worked closely with Rotork UK and Rotork Site Services for many years, utilising them at many of our plants in the UK including Fiddlers Ferry, Ferrybridge and Keadby. We are fully aware of their capabilities for meeting strict deadlines on major plant upgrades such as the one proposed for Great Island. Rotork double-sealed and non-intrusive actuators are designed to withstand hazardous and environmentally challenging operating conditions often encountered in the power generation industry. Secure, non-intrusive set-up and data transfer eliminates the need to remove electrical covers for commissioning once the actuator is site wired. This feature permanently protects internal components from the time the new actuator leaves the factory, enhancing the long term reliability of the robust double-sealed enclosure design. In addition, IQ intelligent actuation technology incorporates powerful datalogging abilities, enabling operating data to be downloaded and diagnosed for the optimisation of plant performance, preventative maintenance and asset management. The project was successfully completed on time and to the satisfaction of the SSE engineers. 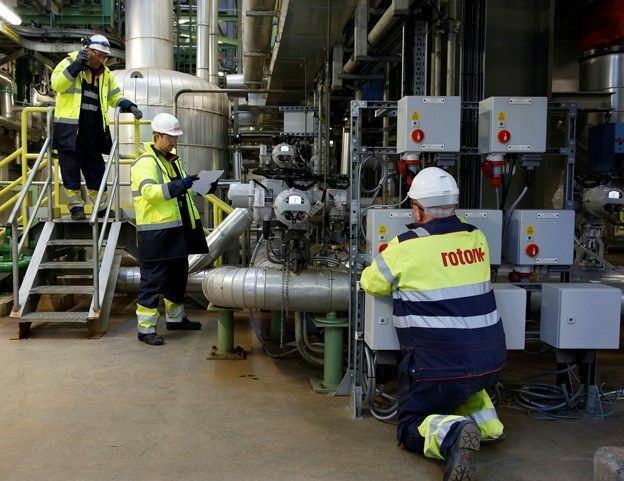 Rotork is also offering a comprehensive Client Support Programme (CSP) to support over 100 Rotork products on the site and further enhance the reliability and availability of the actuation assets. The final word from Ian Elliott, Rotork UK Site Services Sales Manager: “We always knew that this would be a tight programme, but we submitted our full technical proposal within a few days of our initial site survey, which gave SSE the confidence to award the contract as a full turnkey project. Master/Martyr valves are two valves installed in series on the same pipeline. The Master valve sits upstream of the Martyr valve and is only operated when the Martyr valve is shut. This ensures that the Master valve never has to cope with any differential pressure when operating, giving it a greatly extended lifespan. The Martyr valve always opens and closes under pressure and will therefore require maintenance at some point. When this happens, the closed Master valve enables maintenance to be performed easily and with minimum interruption to routine operations. The actuators controlling these valves are equipped with interlocks to ensure that the valves only operate in the correct sequence.